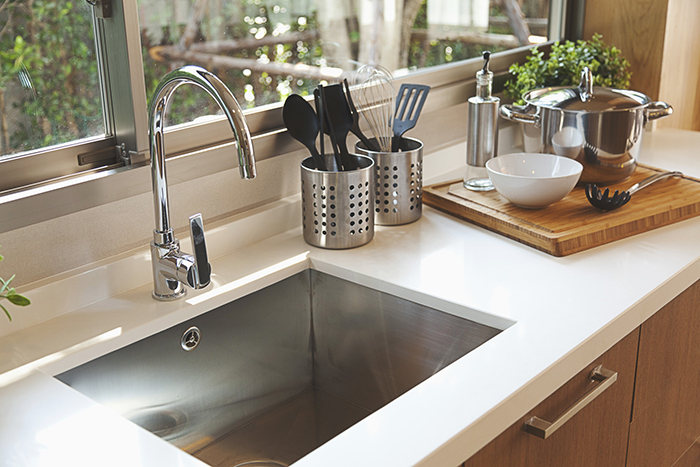 Don't underestimate the impact the right sink can have on the overall look of your new countertop in your new kitchen! 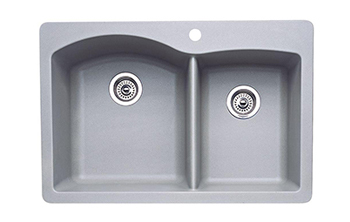 Sinks have the task of being both beautiful and working hard as an essential part of any kitchen. 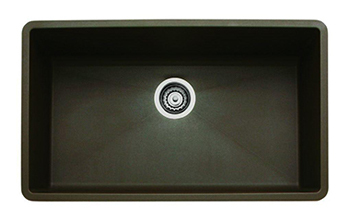 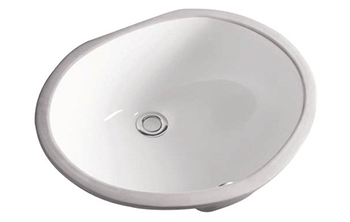 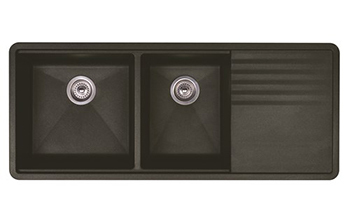 At Complete Source we understand the importance of a good sink and we have plenty of great ones from which to choose! 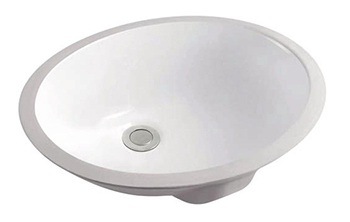 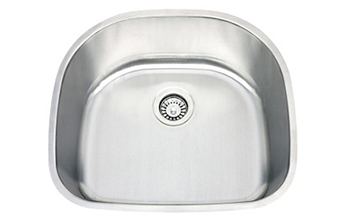 Kitchen and bathroom sinks are used all day long every day and have to be durable. 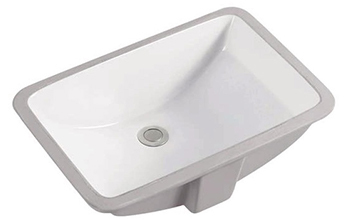 It's their number one job. 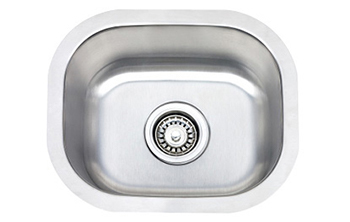 A typical sink is required to withstand the ravages of hot grease splashes, extreme temperatures, harsh drain cleaners and just about every type of germ or bacteria. 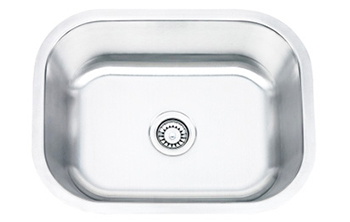 A good sink also has to withstand scratches and be easy to clean. 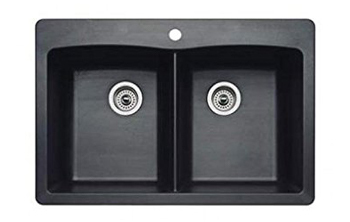 At Complete Source we understand all the demands of a good sink and have the know-how to recommend the best product for the job. 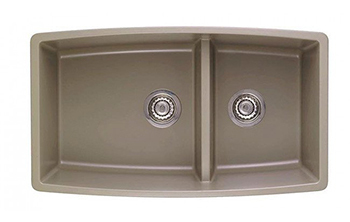 We carry brands that have a proven track record of beauty and durability. 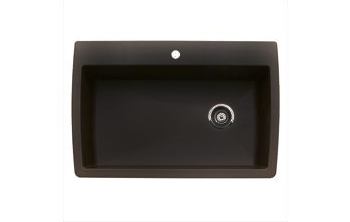 We specialize in offering sinks that blend beauty and functionality. 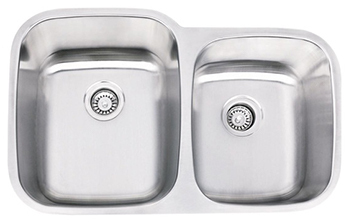 We have the know-how to help our customers choose the right sink for they way they live and the way they cook. 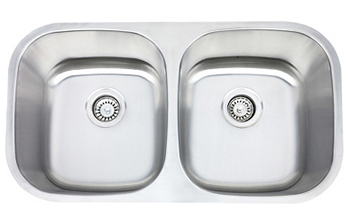 Stainless Steel Sinks. 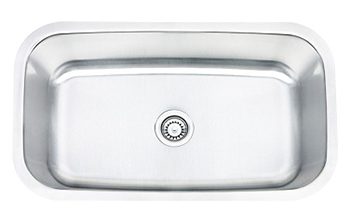 Stainless Steel is a classic and one that will be around forever. 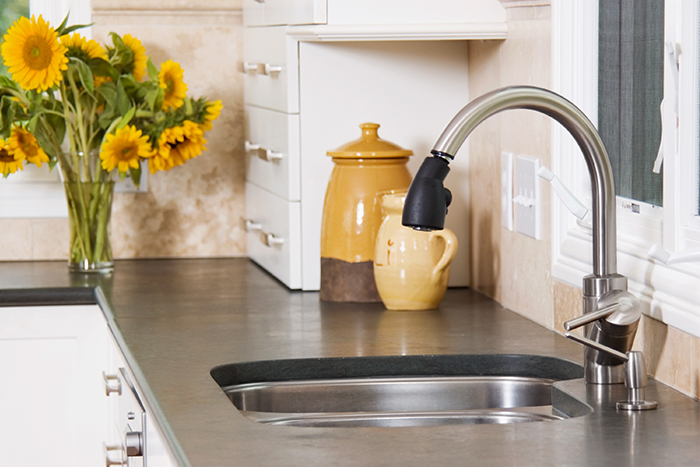 It's sleek, good-looking, cleans up easily and matches high-end appliances. 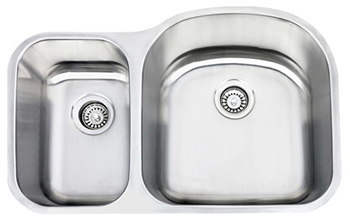 Stainless steel is great because it stands up to heat and cold and resists chipping and staining. 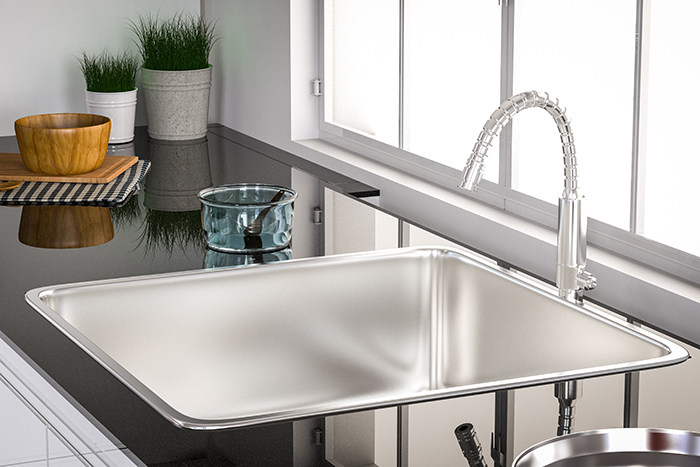 We will help you select the right thickness, sheen and even sound-muting properties that help reduce the clatter of dishes and silverware. 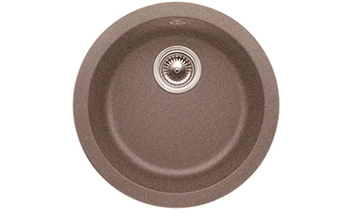 Ceramic Sinks. 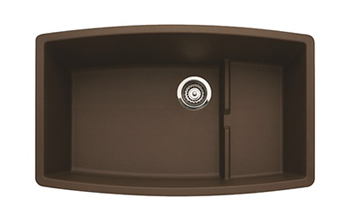 Ceramic sinks can make a big statement in new or remodeled kitchens and bathrooms. 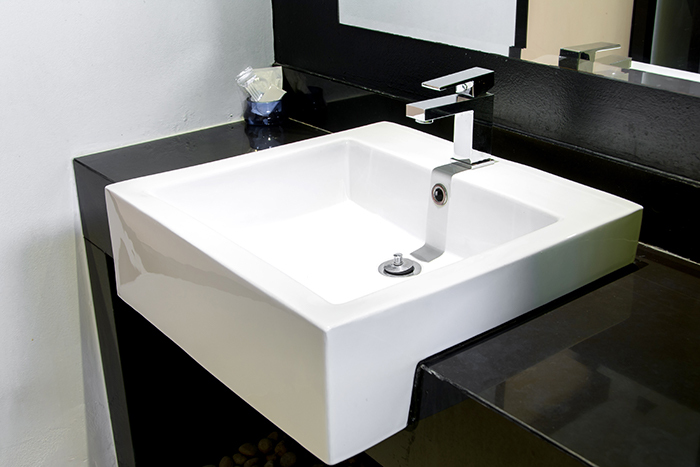 Ceramic has become the choice of new home owners and builders. Ceramic sinks are very strong and are scratch, dent and crack resistant. 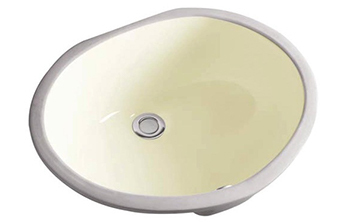 Ceramic cleans up easily and stays beautiful for decades. 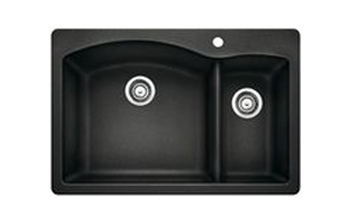 Granite Sinks. 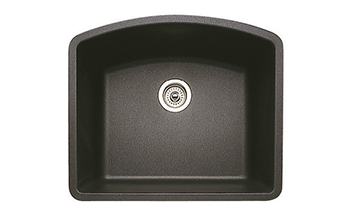 Granite sinks are unique because they come in so many different colors and styles. 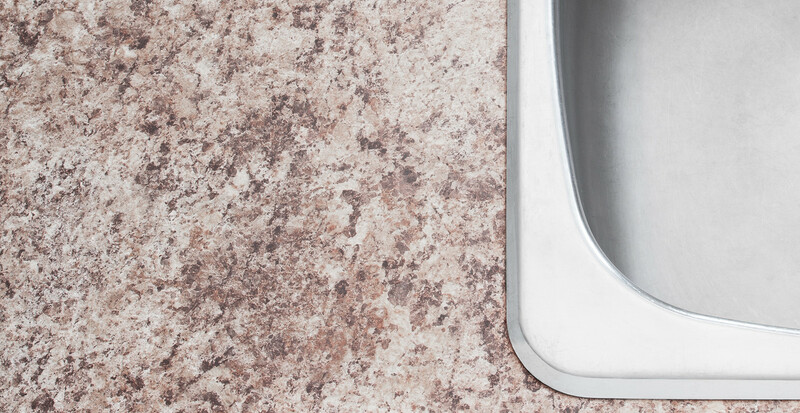 Granite is hard wearing and resists stains, chips and extreme temperatures of both heat and cold.